Some of the loans listed on this page are linked with affiliate links to help us cover the expenses of research and development. Simpleinstallments.com is not a Lender. We do not make any credit decisions and can not guarantee loan approval or loan amount nor do we charge an application fee. The loans we list are not available in every state and both amount and terms vary depending on state and lender. Remember that short-term loans should also be a short-term solution. An installment loan is a type of loan that is typically repaid over several scheduled payments that can last anywhere from 90 days to 7 years. Maximum loan amounts vary from lender to lender, but many go as high as $40,000. On this site we’ll explain why you should choose an installment loan over a payday loan, and we’ll show you the lenders whom we consider to be the best in the industry. In 2019 the popularity of installment loans increased, and now more and more lenders are moving away from payday loans and are instead offering installment loans to customers. For us, it’s a no brainer. Installment loans are simply easier to repay. Unlike payday loans where you have one huge balloon payment due by your next paycheck, installment loans offer you the choice to have longer loan terms so you can have smaller monthly payments. For many Americans, this is a much safer option than having to pay one huge lump sum by their next paycheck! The number of available loans is almost endless, so we’ve created two lists: one list for borrowers with bad or good credit score that needs an installment loan, and the other for borrowers that are looking for a short payday loan. For borrowers with low credit score, the requirements are few and easy to meet, but the interest rates are higher compared to loans offered to those with better credit. Borrowers with good credit will have more requirements to meet (some of which are difficult to obtain), but, consequently, will have better interest rates and will save more money in the long run. Unfortunately, there are no “guaranteed installment loans with instant approval,” BUT different lenders do have different requirements. This means that, even if one lender denies you a loan, there is always a chance another lender will say yes. If you need a quick and easy way to get cash, an installment loan may be just the thing for you. With loans as small as $1000, $1500, or even $2000, and ranging in many cases as high as $10,000, installment loans are the way to go. Many lenders accept a broad range of credit scores, so you very likely have a chance to qualify, even if you have poor credit. Relatively new to the public eye, installment loans have been around for a long time. If you’ve taken out a long term loan like a mortgage, car loan, or student loan, then you understand the basics of installment loans. You have a specific loan term (length of time you’ll be making payments) and a set amount you pay each month. In most cases, your interest is fixed, and so a portion of each monthly payment goes towards both principal and interest. 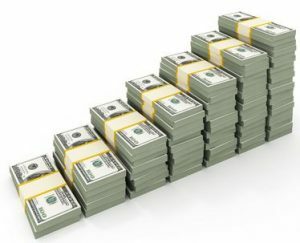 As far as other fast money loans, installment loans are much more easily managed and can be as short or long as you need. Why not a Payday Loan instead? For years people in need of a quick turnaround for cash have gone to payday lenders. The problem with payday loans, however, is the large lump sum you’re expected to fork over on your next paycheck. Many people can’t afford it, and will get caught in cycle after cycle of indebtedness — or as the old saying goes, ‘Robbing Peter to pay Paul.’ You’re really stuck between a rock and a hard place when you have to take out a loan to pay a loan. To make matters worse, many payday lenders secure the loans by either gaining access to the borrower’s bank account, or the title to their car. If you can’t make your payment, you risk losing savings or even your own vehicle. These types of lenders aren’t concerned with the borrower’s ability to repay the loan, but rather their ability to collect the debt. That’s a big difference. Why wait for someone to give you something when you can simply take it from them? Luckily, it doesn’t have to be that way. Installment loans are often unsecured, meaning you don’t need to provide any collateral. Many lenders also allow you to apply with no credit check, instead they only require a pay stub. Also lenders instead of performing a hard pull on your credit report, which is then listed for two years and dings your score, they may just do a soft pull. Even better, some installment lenders only require proof of income as part of the application process. Another perk with installment loans? You can oftentimes get same day deposit. You may need to meet a few requirements and can increase your chances by pulling together your supporting documentation before you apply. That expedites the entire process so you can get your cash as soon as possible. Payback your loans without the stress of payday loans. Payday loans have balloon payments at the end that many borrowers are unable to pay. Rather than paying little by little, you have to set your own pace at saving a large amount of money over a short period of time. Installment loans don’t do this, and are much easier to handle during the repayment process. Although monthly payments are based off of the loan amount, APR, and selected loan term, they are almost always more manageable than a payday loan. It should be no surprise, then, that a majority of borrowers who have taken out both kinds of loan vastly prefer installment loans over payday loans. The stress of payday loans simply isn’t there with installment loans. Plus, you can look at different repayment options during the application process to make sure you choose terms that fit your monthly budget. You can usually get pre-approved with no hard check on your credit report. Use installment loans to build a better credit score. Though payday loans can help build your credit score in some instances (and incrementally at best), they don’t have nearly as much impact as installment loans. Plus, many payday lenders don’t report on-time payments to the credit bureaus anyway! Even if they do, just think about it: if you have to repay an entire loan in two weeks or less, you’re not going to have the same kind of payment history as you would get with an installment loan. Installment loan payments are much easier to handle, and you have plenty of time to pay them off over regular increments. Make those payments on time, and you’ll have a slew of positive marks in your credit history that can build upon themselves. You’ll also get points for adding to your credit diversity. Credit scores and credit reports are nothing but ways to illustrate to lenders that you are a responsible borrower. They show that you have both the ability and the will to pay back your debts. Boosting your credit doesn’t happen overnight, but it can happen over a few months. Pay back your installment loan on time without any delinquent payments, and your score will begin to improve. There are few other ways that can have such positive results in a relatively short time period. There a lot of direct lenders out there these days offering installment loans with quick turnaround times and low monthly payments, but they don’t all deserve your business. Many former payday lenders have simply shifted their business models to accommodate public demand, so just because they’re offering installment loans doesn’t mean it’s in your best interest to go with them. Many installment loan companies significantly lengthen their loan terms, but they’re not doing so to lower payments. All that interest collected over months and months can really start to add up. In fact, this can cause the cost of normal loans to increase by as much as four times! Another thing many companies are doing is offering borrowers the chance to refinance. Rarely is this ever in the borrower’s best interest with a small loan. Why are they doing it? They’re charging fees to borrowers to refinance, most of which are rather large and increasing the borrower’s debt even more. So begins another cycle of indebtedness. Do your due diligence when it comes to finding the right installment lender. While there are some predatory lenders, there are also very reputable lenders offering fair loan terms to borrowers like you. Wondering where to find the best installment loans? We’ve gone through the installment lenders in each state, and have read through and compared all of their rates and fees. This means if we’ve listed them on our site, we consider them safe for business. Taking out a short term loan doesn’t have to be an overwhelming process. With a bit of research and a good partner standing behind you, you can meet any financial emergency with an installment loan that truly works for you.